The International Society for Krishna Consciousness (ISKCON) has a 50 year history of sharing the glorious Vedic culture of India with the world. Founded in 1966 by His Divine Grace A.C. Bhaktivedanta Swami Prabhupada, ISKCON is a movement with a mission to promote the well being of society by teaching the science of Krishna consciousness according to Bhagavad-Gita and other ancient scriptures. ISKCON has more than 650 centers, 65 eco-communities, 54 educational institutes and 110 vegetarian restaurants across the globe in countries including Russia, Canada, Kazakhstan, Poland, Switzerland, Australia and South Africa. These centers are beacons of spiritual enlightenment, bringing peace to a restless world. 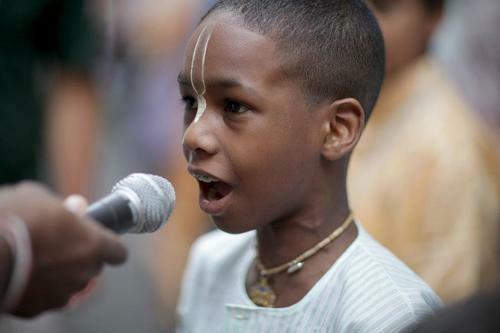 Below is a brief overview of ISKCON’s accomplishments around the world.